Days ago, I just had an epiphany. Erzullie is turning 4 years of age and I just realized she is “just” turning 4 years of age. At that point, she was a toddler. I remember my niece at that time, she just learned how to stand up and walk around. She knows some words and identifies things, but you know, there is a long way to go. Months prior, in all honesty, I felt like crap. Crap in a way that I feel that I could be doing so much more with Erzullie and I am always left to wonder if I am doing this business right or am I making it happen --- am I stuck in a delusional world that things are working out fine when it’s not --- or is it? That kind of crazy ride. But I guess, all entrepreneurs get that feeling at times. If there is one thing I have learned from 9gag, you are usually not the only one. And so going back to the original point --- I just realized that I was expecting a PHD caliber performance from a 3 year old. (Erzullie is not 4 yet, she’s about to though) At the time that I was feeling and thinking all of this negativity in me, I was expecting so much from a “toddler”. Erzullie is still young and although she is growing and it seems like every anniversary I get emotional how far we have come, I have realized how much of an @$$ I am for pressuring myself and Erzullie too much to be IMMEDIATELY GREAT. Things, in truth, need to develop. I need to develop. Erzullie does. I cannot expect Erzullie to be this big massive thing RIGHT NOW because she’s not a big massive thing RIGHT NOW. She will be, of course, because Berna and I are working towards it. 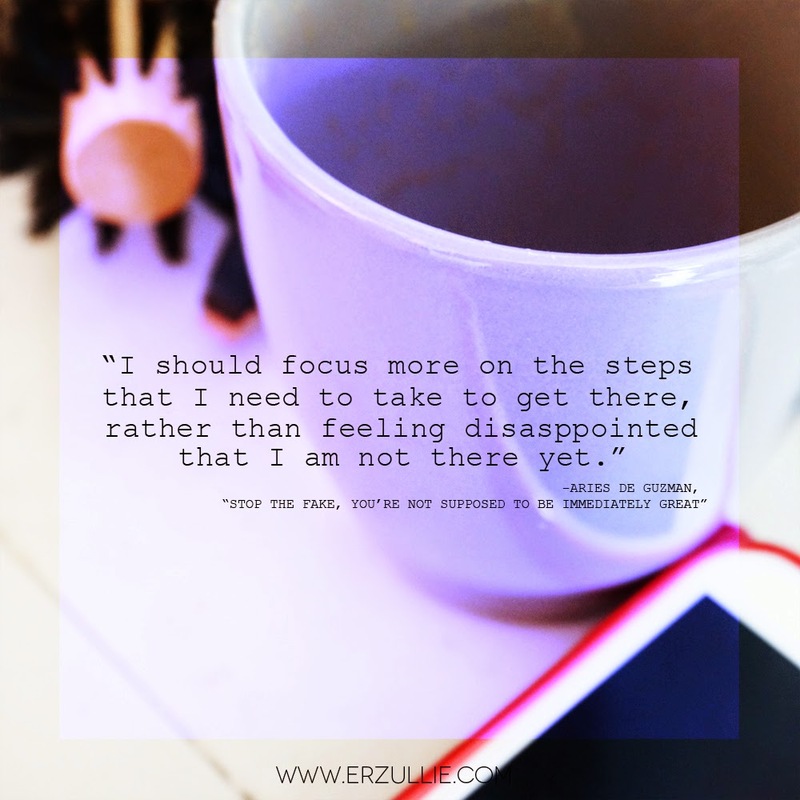 I should be happy enough to know that I am taking the steps towards there and not punishing myself for not jumping over those steps and immediately becoming that expected end point of mine. 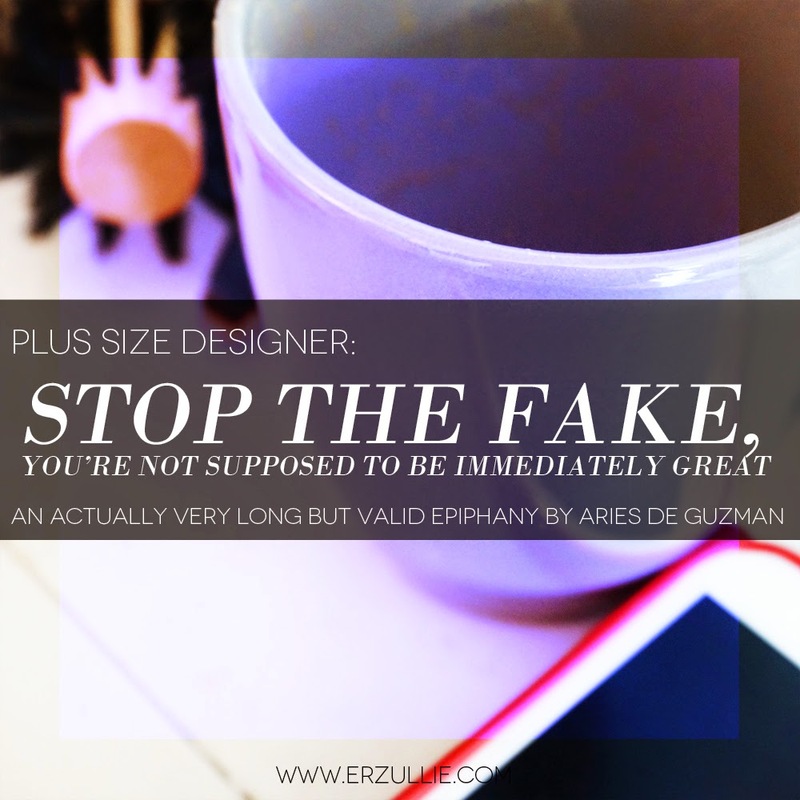 I guess I got carried away in a world where instant gratification is now the new norm. The truth got dissolved --- I can only be what I am right now and I should know that I should focus more on the steps that I need to take to get there, rather than feeling disappointed that I am not there yet. I just felt really stupid, relieved and great at the same time, when I have realized it. Stupid because I have wasted so much time and brain cells punishing myself for not reaching or achieving the things that I already want to become right at this moment. Relieved knowing that I am actually doing very well for a start-up business --- we are still here, the business is growing and it is self-supportive. Finally, great because I feel now that I am free from that false notion that I am a failure --- I am where I am supposed to be. Erzullie is still a toddler and I can only expect specific things from her and from me. So to all other entrepreneurs out there starting --- embrace your business as it is. Right now, where it is, is where it is supposed to be, but know that it will be going places, just resist the temptation to think that you should already be at the finish line when you are still tying up your shoes for the race. PLUS SIZE FASHION: NEW LOOK! NEW COLLECTION! 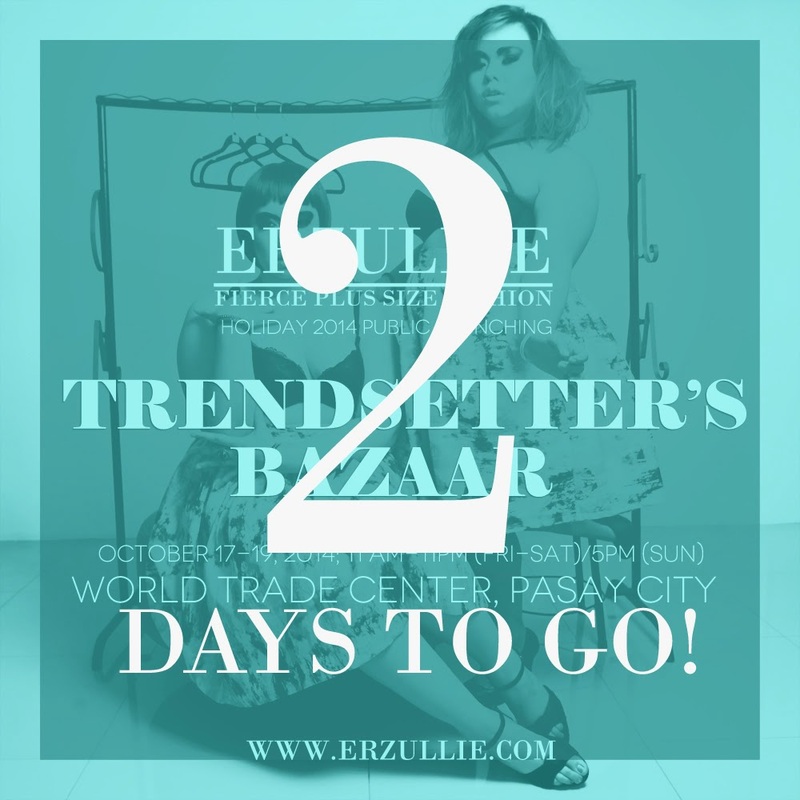 We are releasing the Holiday 2014 collection this weekend, October 17-19, 2014; 11AM-10PM (FRI-SAT)/ 7PM (SUN) at the Erzullie Booth, Trendsetter’s Bazaar, World Trade Center, Pasay City, and to celebrate, we made a whole new look for the website! Hope you ladies love it as much as we do. Be at peace though, we are going to keep working on making it better each and every time.